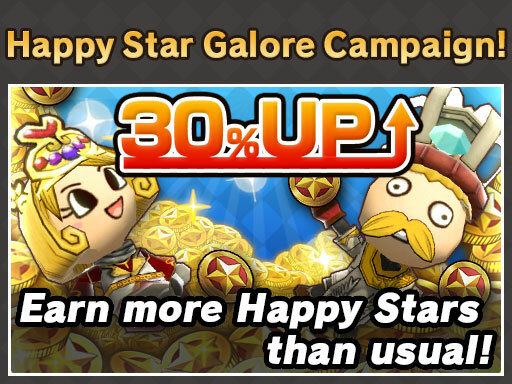 You’ll be rolling in Happy Stars with the Star Galore Campaign! During this campaign, you earn 30％ more Happy Stars in Quick Match and Co-op Mode!! Happy Stars are extremely useful, and can be used in the Star Market as well as Happy Cards Lite. They are also used in Item Level-Up and Item Remodeling, so take this opportunity to stock up on as many Happy Stars as you can!